Instead of RSA, you can use an Elliptic Curve algorithm for public/private key cryptography. The main advantage is that keys are a lot smaller. With RSA you need keyservers to distribute public keys. With Elliptic Curves, you can just write: my public key is *jMVCU^[QC&q*v_8C1ZAFBAgD. There are two drawbacks: first, Elliptic Curve cryptography is even harder to understand than plain RSA and secondly, there are only a few implementation of Elliptic Curve cryptography. In fact: I did not find any maintained Elliptic Curve package for Python. Thus I wrote a Python package compatible with the excellent commandline utility seccure written by Poettering. Here are some examples of how to use the original commandline seccure and how to do the same thing in Python. Assuming MAC length of 80 bits. This is a very secret message! Integrity check successful, message unforged! You can find the Python library on Github. Update: added support for Python 2.6, 2.7, 3.2 and 3.3. …and didn’t want to loose it if my control servers got shut down, I’d let every orphaned zombie randomly connect to hosts in a given IP range, and challenge them to give a preimage of a hardcoded hash. [ detail: add a salt to prevent replay attacks ]. With a sufficiently safe casu quo large range, it also might be helpfull to allow zombies to forward still orphan zombies. Disabling the md5sum useflag might fix it. Thanks to Bram for the tip. Kaja is writing a series of articles on the shortcomings and solutions to the current object paradigm. Very interesting. Two very simple ruby scripts (I love ruby!) and a little bash script that searches all ebuilds with 9999 in the name, orders them by dependencies and then emerge -a them. Very useful when you got a lot of 9999 ebuilds. CaCert is a Certification Authority that works with a web of trust: people meet and assure (similar to keysigning) eachother. If you’ve been assured by enough people you’ll be able to let your ssl server key be certified by cacert. It’s a lot more secure than other CA’s who just give anyone a certificate who pays enough. Still a hierarchical system with a CA is flawed. When the CA is compromised, the whole system fails. PGP’s web of trust hasn’t got this weakness. What every programmer should know about memory by Ulrich Drepper. Why? 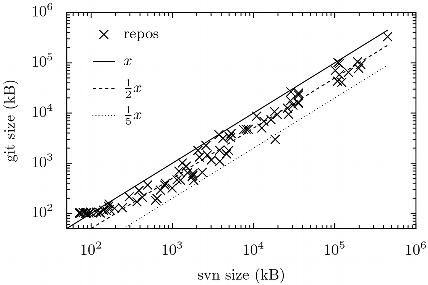 Everytime a little bit is added to str, there must be a new string allocated big enough to contain str and the new little bit. Then the actual str must be copied in. In most languages there are constructs to efficiently build strings like this instead of concatenating. StringBuffer in C#. StringIO in Python. But no, PHP has to be stupid. There is no nice construct and you’ll end up using concatenation. So, I thought to be smart and make use of PHP array’s and implode. Arrays are here for having elements added and removed all the time so they are properly buffered and should be great at having lots of small elements added. And when I want to pack it all into one big string, I can use PHP’s builtin implode function. Indeed, string concatenation with all its allocation and copying is actually faster than plain simple array appending. PHP is stupid. There is no easy way to distinguish between a human and a spambot. It’s an arms race which we’ll always be behind. I’m talking here about spam in more general—not only on e-mail but also on for instance Wikipedia or on blogposts. Even if we would have a perfect-solution to test whether there is a human behind something, we still have to combat cheap labour in India: real people spamming “by hand”. I think the solution is a Web of Trust similar to that of PGP. An identity (not necessarily a person) publishes who she trusts (not to be spammy/phishy) or not trusts. Ideally everyone would be in one big web. Only someone who my blog via-via trusts may post. Obviously one still may gather trust of people over time and enter the web of trust and then start spamming with that identity. However, then that identity will be marked untrusted by people and also the people who initially marked the identity as trusted will be less trusted. Also, there are way more sophisticated measures of establishment in the web/trust to conceive than just being trusted via-via by one identity. I just got back from Wacken Open Air 2007 (it was great!) and noticed that my bas@fsfe.org account has been activated :). A short while ago I came across a quite interesting problem. Design a datastructure (and algorithms) to maintain a Directed Acyclic Graph. There has to be only one operation: adding a link between two given nodes. This operation must be able to detect and deny any new link that would cause a cycle. For simplicity, nodes are identified by sequential ids starting with 0. It’s rather trivial to create a (where is the number of nodes and the number of links). I conjecture there exists a algorithm.